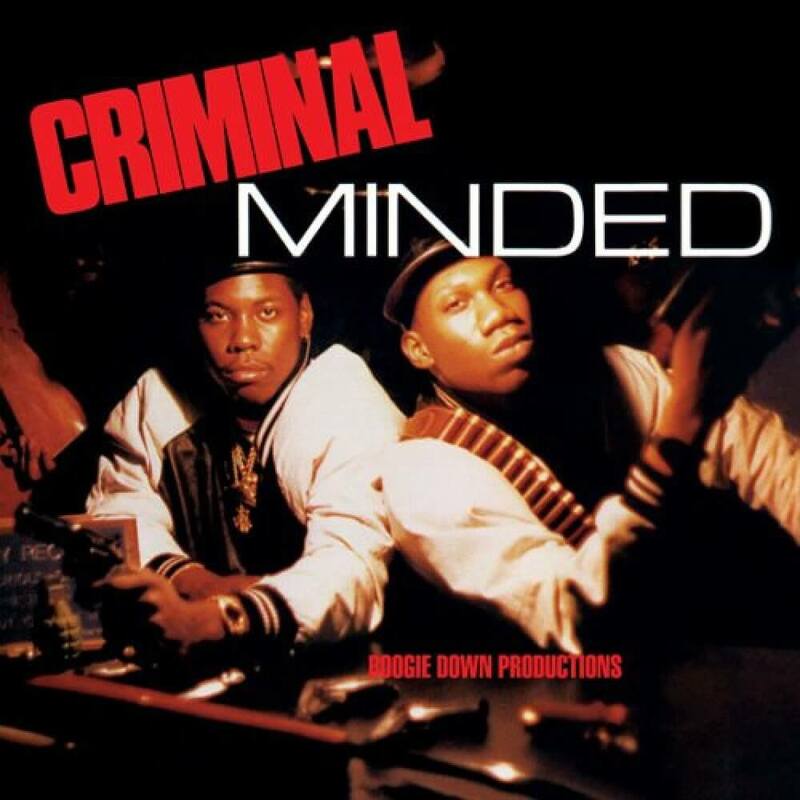 In listing the greatest albums in Hip Hop history, one title never seems to stray from the upper echelons, no matter how many years pass: Boogie Down Productions’ undisputed classic from 1986, Criminal Minded. Released amidst a battle between BDP and MC Shan that would redefine the New York rap landscape as it was then known, the album, which features the songs “South Bronx,” “Criminal Minded” and “The Bridge is Over,” captures the excitement, urgency and raw power that embodies Hip Hop culture as we know it, with KRS-One’s aggressive yet intelligent lyricism backed by Scott La Rock’s hard-hitting, stripped-down beats. A true classic, Criminal Minded has been recognized by Vibe Magazine, The Source and Rolling Stone as one of the most important albums of all time. 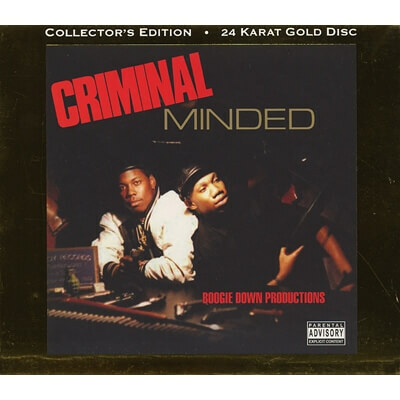 Traffic Entertainment Group and B-Boy Records are proud to present Criminal Minded, presented in a double-LP pressing. Get On Down has noticed that cassettes are continuing to see a resurgence in interest, especially for classic material. 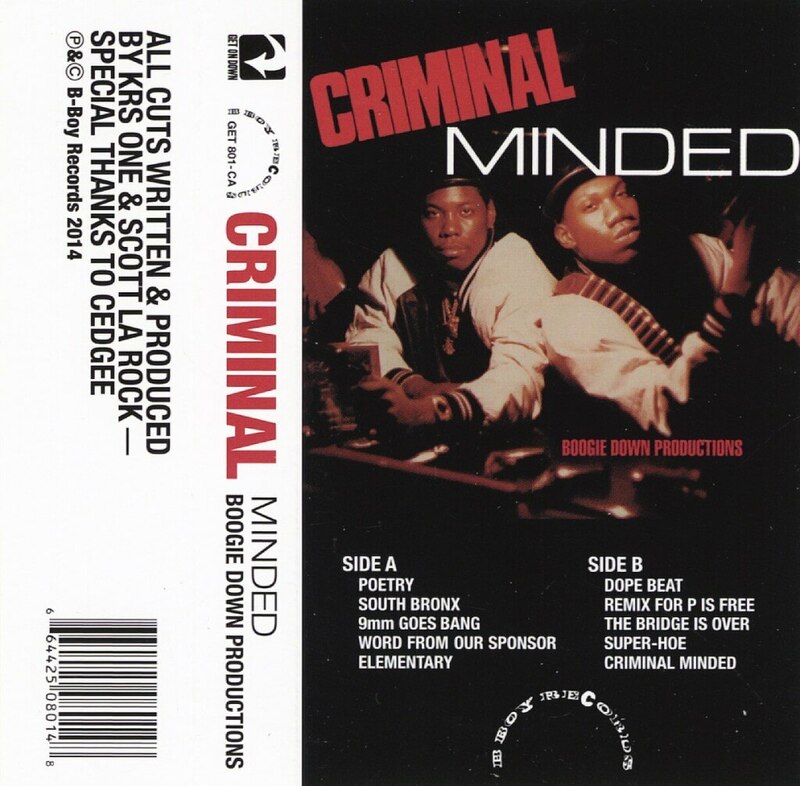 And few titles in the Hip Hop canon are as certified classic as Boogie Down Productions “Criminal Minded” presented here in a stylish black shell. Though never official certified gold, this edition of Boogie Down Productions landmark release is gold! For the first time ever “Criminal Minded” is available as a deluxe gold disc offering.